Whether you are renovating your old home or are building a new one, one of the most critical aspects that you need to consider in order to complete the project is considering the heating options. The heating options that exist in the mass market are always subjected to in-depth review. It is due to the fact that the recurring costs of running a heating mechanism in your home fluctuate with the fuel prices in the market. ● Supplemental heating units that are capable of heating a particular zone in your home that is known for being unusually cold! It is advised to review your options, your annual budget for utility bills and then choose an option that meets those goals! Depending on your place of residence, when it comes to keeping your home warm, natural gas heating systems can prove to be more economic versus propane-run systems. Natural gas heating solutions consist of a whole-size furnace that sits at the basement of your home and is connected to the same viaducts. Natural gas is eco-friendly, to begin with, and on top of that, it is much safer than propane. These systems are usually known for their added advantages. One can connect their cooktops with the system so that it can be used to cook meals. It can also be used for heating water and appliances like your dryer! Word to the wise, be sure that you install a natural gas heating system in your home by a qualified technician for best results. Radiator heating systems are best when it comes to energy efficiency! Radiator based heating systems are those that consist of a boiler that is connected to a series of small radiators spread across different locations within a home. It is one of the most energy efficient and cost efficient ways one can heat up their homes. These systems are cheaper than other heating solutions and are hassle-free in terms of maintenance. Over the years, this age-old heating system saw a lot of improvements in terms of efficiency. Click for more info on energy efficient heating options. Apart from the heating solutions mentioned above, it would be unfair if one doesn’t include the simple process of keeping their homes warm by burning wood! 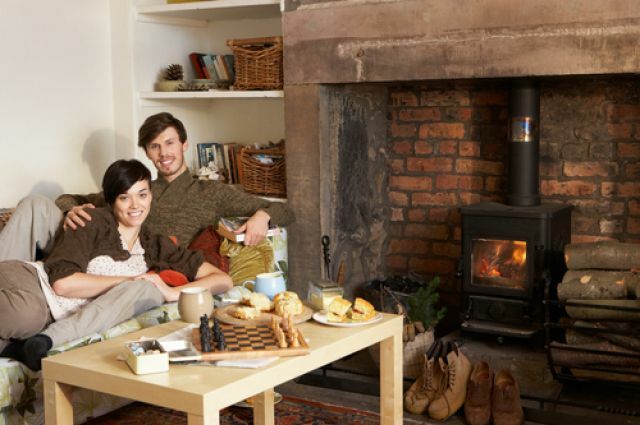 Whether one is planning to install a simple fireplace or a pellet stove in their abode, it is still one of the popular heating solutions for many across the world!